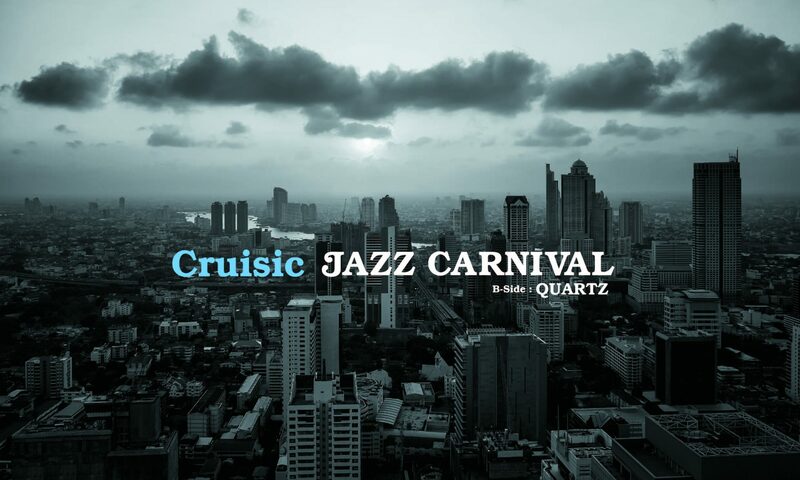 First release from Cruisic is “Jazz Carnival” a cover of the classic Brazilian-fusion instrumental tune by the jazz funk trio Azymuth. Cruisic arranged the famous song into a medium dance tune where samba and jazz meet. By featuring cosmic synthesizer sounds and a hard blowing saxophone upon an electronica driven samba beat, Cruisic brings the heat of the 1970s and the cool of modern jazz together. Jazzy hip hop track composed by track maker Yukinari Iwata, “Quartz” intensely features Yuko Ichizuka, Hammond Organ and piano player from Banana Needle with chilling electronica and trashy drum sound. Two different sounds, acoustic and electronic, interact and improvise together.